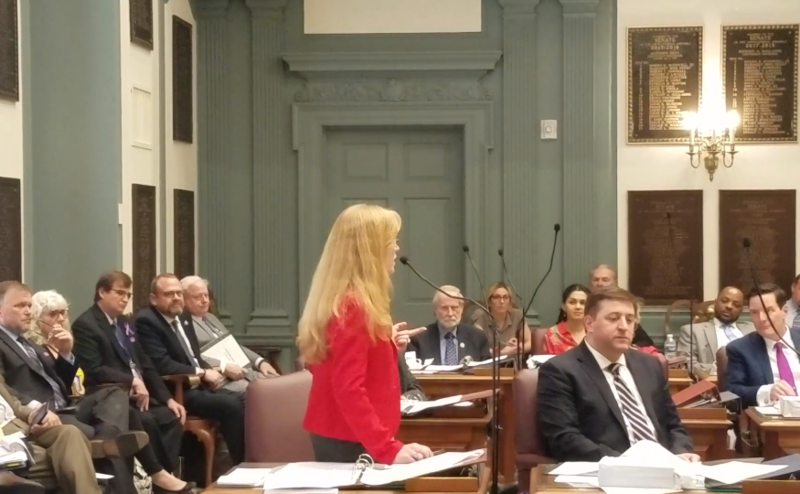 The Delaware Senate last night passed Sen. Stephanie Hansen’s Senate Bill 34, with would make Delaware one of the first states to fight the Opioid Epidemic by imposing a tax on those opioids to raise funds to provide treatment to those addicted. The vote was 17-4, with 4 downstate Republicans voting no: Colin Bonini, Bryant Richardson, Dave Lawson, and David Wilson. The bill now heads to the House for consideration. Senate Bill 34 would add a fee of 1 cent per morphine milligram equivalent for name-brand opioids and one-quarter of a cent for generics. If the bill is signed into law, a 10mg pill of oxycodone would cost an extra 15 (brand-name) or 4 cents (generic). Estimates indicate that the tax will raise $2.8 million in the first year. That money could be used for various addiction-related services such as sober living facilities, medication like naloxone that can reverse the effects of an overdose and care for addicts without health insurance. The fund would be overseen by the Department of Health and Social Services, but no more than 15 percent could be used for administrative purposes. And that is when Senator Hansen stood up. The rest is on video. Where is the bill now? Passed Senate 17-4 on 4/9/19, onto House for consideration.